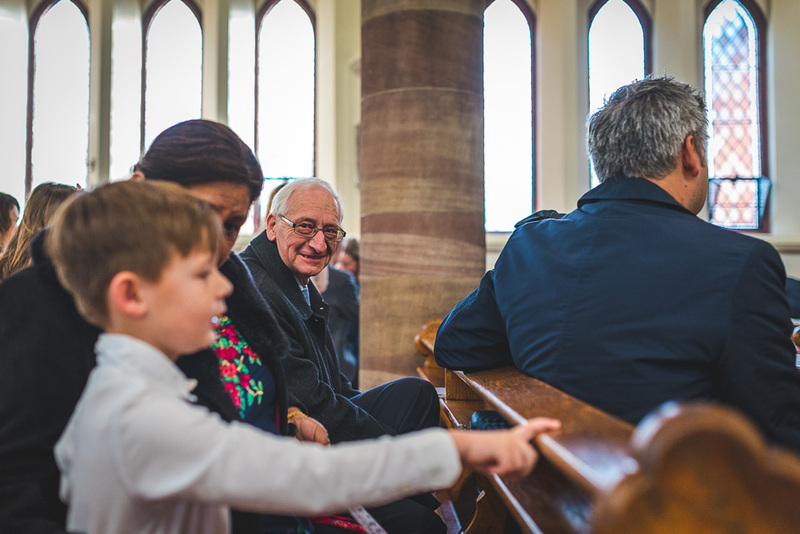 Back in December I photographed a baptism at St Vincent de Paul in Altrincham. I have photographed lots of baptisms there in the past but never one where three children would be baptised at once. 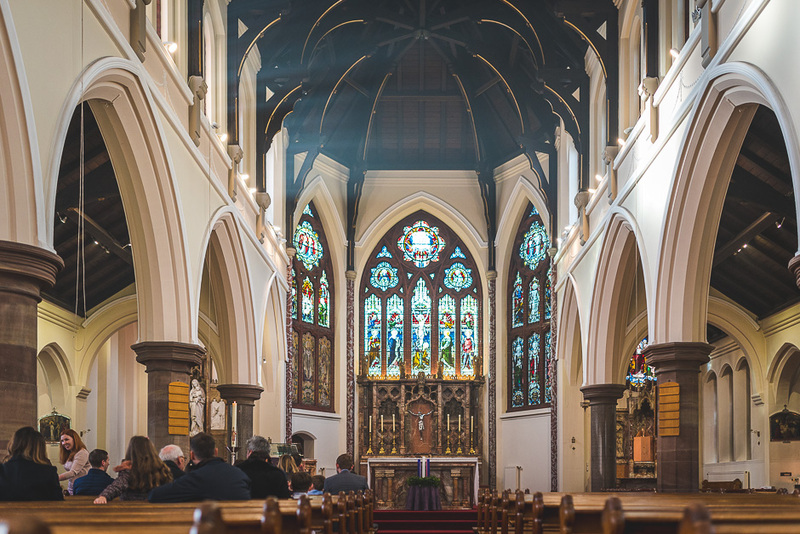 I love photographing at St Vincents though, it is such a beautiful building with light streaming in through the windows and the Priest is very accommodating and allows free reign to photographers, such a refreshing attitude. The service is usually started straight after Sunday mass and the incense wafting around the columns in the church can add real atmosphere to the photos. Here is a small sample of the photos I took at St Vincents. All of the photos are unposed so you and your guests can just enjoy the service. When it comes to the group shots afterwards, you won’t be stood around for long as I complete these in about 20 minutes. It is a great honour to be asked by so many families to photograph their baptism. If you are looking to have any type of baptism at St Vincent de Paul then please get in touch to see if I am available. 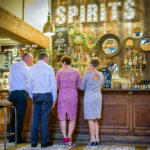 Comprising of the busy market town of Altrincham and the leafy villages of Bowdon and Hale, St Vincent’s is a very different parish. Whether you are a visitor from another part of Britain or abroad, someone who has just moved into the area or someone who has been around for some time then why not pop along to this beautiful church. If architecture is your thing, or for that matter, religion, then you’ll be very impressed. Vincent de Paul CM was a French Catholic priest who dedicated himself to serving the poor. He was respected as a saint in the Catholic Church and the Anglican Communion and was canonised in 1737. He was renowned for his compassion, humility and generosity. 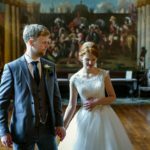 If you are looking for a St Vincents wedding photographer, or any other venue, then please get in touch for my availability.